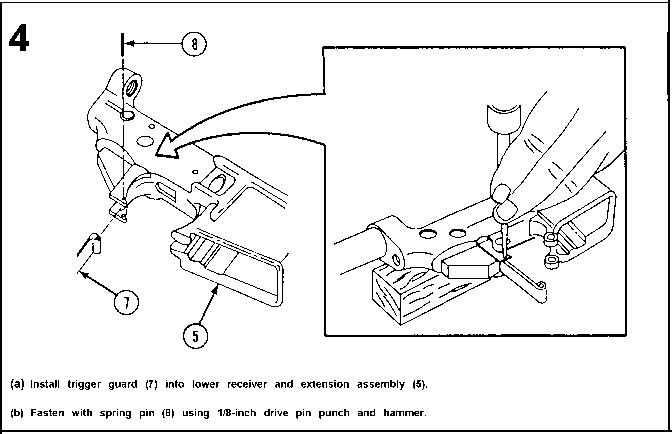 To avoid injury to eye, use care when removing and installing spring-loaded parts. Visually inspect for proper assembly, damage, or for missing parts. Clean and lubricate (see p 2-22). Hand function to assure proper operation. Insert empty magazine and pull the bolt to the rear. Check magazine for positive retention, and check functioning of bolt catch by assuring that bolt locks to the rear with empty magazine inserted.